Primary Directives: Covert Espionage and Military Intelligence Operations. First created near the start of the Galactic War, the Qorit Network in its time existed as a information gathering and manipulation agency, with particular interests in the Underworld of Nar Shaddaa, and far from public view. The Network took part in some larger conflicts during this time, notably the second battle of Belsavis and the imperial conquest of Kedrash III, and acted as a part of the Imperial Consulate during the time of Darth Thyrus. Disbanded under classified circumstances following the death of Darth Lithvai and near the Zakuul invasion, it has now been recommissioned and more firmly tied to Sith Intelligence. 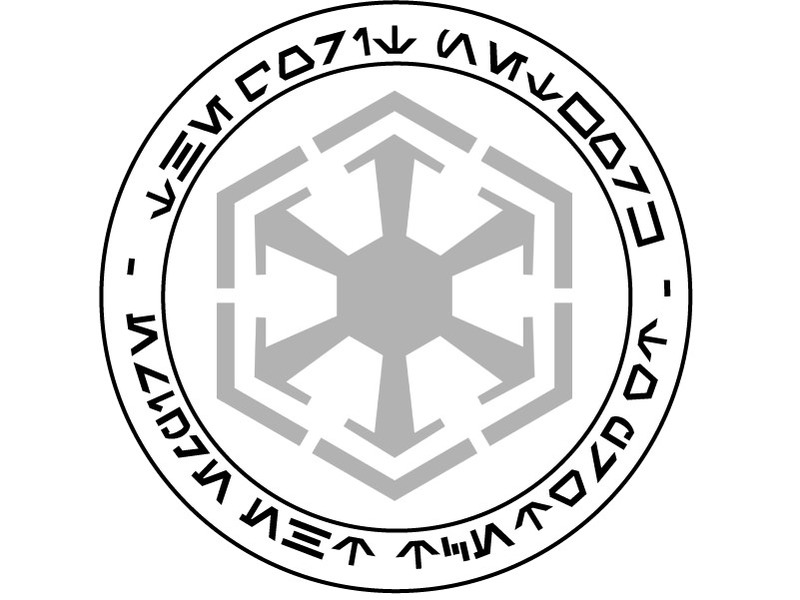 The Network remains shrouded from public view, however, aiming to use the strengths of the Empire’s intelligence operations with less insight from outside sources, keeping recruitment and placement within the ranks of the organization something of a secretive affair, with reassignment passed down to suitable agents and former agents of Sith Intelligence. The agency turns its gaze primarily towards the Republic as battle nears, starting to probe for weaknesses and gather intelligence on the Empire’s ancient foe. Though the Empress prefers electronic surveillance, the Network offers an alternative approach, embracing some of the strengths of the former structure. Agents operate in a variety of ways, some stationed as informants, others serve as field agents, security, technical support, and analysts. operatives within the Network are given some more operational leeway than mainline Sith Intelligence agents are allowed, though ultimately overseen by the Architect, serving as the head of the organization, and the Force sensitive fulcrum of the organization. In public within the Empire, the operatives of the Network are largely part of House Utharr’s forces, and part of the Sphere of Expansion and Diplomacy, through the capacity at which they serve is tailored to each of them. Force sensitives are admitted into the organization as part of the Architect’s powerbase, primarily in the form of infiltrators. These Sith tend to specialize in concealing their presence, alignment in the Force and operating under cover, allowing them to use their influence from positions of relative anonymity. Other sith again serve in support functions for the Network proper, from scientists and mystics to inventors. The Network’s new incarnation embraces the traditional roles used by Imperial and Sith Intelligence primary, and having a rather flat organizational structure for its agents. Given the secretive nature of the network, the numeric designations given may well overlap with established designations inside the primary organization, serving as a potential tool to cause confusion and obscure numbers in the unlikely event of a data breach. Watchers and Ciphers are often paired, working as a team on and off the field to gather and assess information, and act on it as necessary, with Fixers, Minders and other roles used situationally, and not tied to a handler situation. Spies, scouts and informants who gather information and relayed it back to base. They are often assigned a fixed position they never leave. Playing one of these will usually not include inclusion into the guild on this character for secrecy. And if you play inside another guild already, or wish to join one as part of a cover talking over this with the GM is required to avoid issues. This covers other positions needed to support the Network’s day to day operations, ranging from engineers to archeologists and scientists, typically in the hierarchy alongside informants and agents, but with some variance. This category also includes military personnel that supplement the operatives with additional manpower and resources. Agent is the starting rank for field operatives and operatives at base alike. They conduct missions through orders from the Network, operating largely without the personal support structure given to full-fledged Ciphers. Operatives skilled in assassination, seduction, infiltration and sabotage. Ciphers are often the field agents and the main attack force of the Network, adept with poisons, rifles and gadgets. Observers that recover, process and analyse data, then relay their findings back to the field agents. They ideally function as support from a secure location, providing situational overview to the field, but can occasionally be deployed in closer proximity to the agents they work with. Watchers report directly to the Director. Information processors who receive intelligence from Ciphers and anticipate their enemies’ movements. Minders work as internal security, political officers, screening Intelligence for vulnerabilities, and addressing any breaches. They assist in debriefing and checks on agents after missions. Technical agents who are adept at slicing, engineering and biomechanics. They often process and make sense of technical data gathered by Ciphers. Fixers also covers medics employed by the Network. The main leader of the Network’s non-force sensitive assets. The Director gives orders to their operatives, comes up with the larger plans, and knows most of the secrets of the Network not exclusively held by the Architect. The lowest of the sith ranks, an acolyte is still being trained and groomed for the title they seek, with death a likely prospect. The Network rarely takes in acolytes, but may in cases where the potential for relevant traits are apparent in aspiring sith. Applicants seeking to begin at the acolyte stage will be for the most part as things are, stil lbe returning to Korriban at intervals, and have a process of getting through their trials over time. 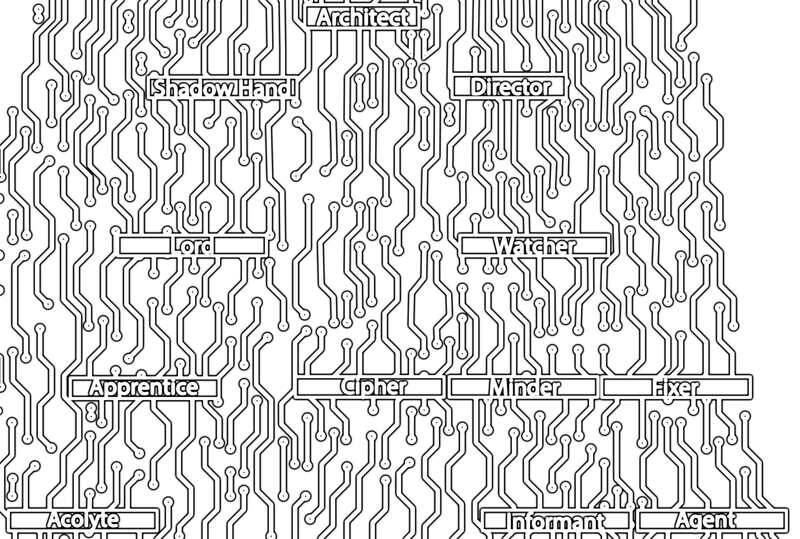 The apprentice bracket covers apprentices, as well as those left masterless through some means or another, designated sith or according to their chosen field. These sith are liable to be the largest section of the sith and will usually be under the direct tutelage of a lord or Darth. This bracket also covers potential Overseers, tasked with training and keeping the acolytes busy. Risen to become a lord of the sith, a lord is granted some measure of command of forces, and serves at the pleasure of the Architect. A lord does attain the means and ability of creating and following their own agenda, as well as being able to take on and teach a suitable apprentice. A position created for a second in command of the Sith, trusted to carry out the Architect’s will when their master is not present. The Shadow Hand is also expected to act as a counsel alongside the Director, and work together with the leader of the agents towards the organization’s goals. Overall leader of the Network, the Architect lays the grander vision for the organization’s operations, and manages affairs of operations more closely. Hey there! After due consideration, I have decided to resurrect the Qorit Network in a new form, after dissolving it quite a few years ago. With the storyline tilting back towards war between the Empire and the Republic, it also makes sense to redirect efforts towards that side of the RP, and try to reinvigorate the Intelligence section of RP, and taking advantage of the Spheres of Influence and other public initiatives to help fuel it. As the goal once was with the original guild, the open world is going to be a key aspect in operations, aiming to conduct intelligence gathering, intrigue, and events in the open community, and helping generate RP in the process, the covert nature of the work allowing members to delve into any area of roleplay, including undertaking undercover work over longer durations. This is happening primarily within the confines the Blackscar guild, in part due to my own existing position and responsibilities as an OOC officer there, as well as an additional means to generate and maintain RP for Network members.. While members will be inside the Blackscar guild on an OOC basis, it is mostly a matter of convenience to use shared and evolving resources, systems, and easily being able to conduct joint missions. The goal of this is to tilt towards the non-force sensitive side of RP, to give them the spotlight and the main roles within the organization, though how it is shaped will in part depend on numbers. And in general, if you have a character idea that you think would work with the guild concept, feel free to apply with it! Another goal of this is to emulate the feeling of being an agent in full, a tricky prospect, with large events tending to feel more military in nature, while solo missions take a lot of effort to set up. Watchers with an interest in doing some small scale GMing is one of the ways to do this, allowing a single cipher and possible support crew to act out their role. Applications can be done at http://www.blackscar-mercs.enjin.com/recruitment by selecting you are applying for the Qorit Network! Cmdr Uralis: The Qorit Network? You are certain about this, my lord? U: That division went inactive before Zakuul were a blip on the sensor… why return to it? A: It got results, you know that as well as i do, Commander. U: In a different era. my lord. Sith Intelligence has changed since those days. A: The operation on Tatooine showcased the the need to change the manner in which we conduct op..
U: ...You make a strong case for it, my lord. Do you have any particular assets in mind to revive it with? A: Some, but I will trust your judgement in finding suitable personnel to reallocate. In particular a new Director with a suitable track record. U: I will see who I can dig up. The Empress’ preference for electronic surveillance leaves quite a few capable operatives to spare. A: Send the remaining paperwork to my staff, and begin the transfer of assets as soon as possible. U: Naturally. I will make the necessary arrangements, my lord. A: I trust you get this approved swiftly, Commander. Given the inevitable total war to come, it will be necessary. I’ve tracked a traitor and possible blackmailer who wanted to sell sensitive data do the Hutts, Tyria Liassi on Iocal. I used the second contact, Terel Liassi, Tyria’s father, a manager of the local factory who suddenly, the first time in the year had his leave. Workers said that he was stressed and anxious for a few days. I’ve reached his office undetected and found the data about his often used comm frequencies and some notes made a few days ago. Also, a prescription on a rare and strong histamine blocker for his daughter. I cloned his datapad. This trace led me to the flat in the lower workers' quarter district, rented under maiden's name of his deceased wife. I discovered that Terel Liassi is selling R&D data to the competitor. Unintentionally he led me to his daughter. I've arranged the Tyria's accident with a strong allergic reaction. Also received intact data from her datapad. Using his frequencies and datapad access, I sold R&D data to the other competitor, claiming to be Terels Liassi himself. This action moved suspicion for his daughter's death on the competitor's vendettas. The sudden arrival of Tyria’s contacts from the Hutts required my quick escape with an unconventional route. Collected data sent to Silver for complete analyses. Holo pictures of Hutt’s agent attached, identification required. I've reached the destination point in time under a false identity. Necessary preparations have been made. The target was ambushed during her normal, easy to predict activities. A light wound dealt. After identification, the SIS agent was eliminated and his support team was made busy. In both - the attempt and assassination - I used the same weapon and munition, with the same modus operandi, to make the connection between them obvious. I covered the tracks, mislead the chase with false pieces of evidence, making the diversion for a second part of the operation. Giving this a bump! Still recruiting agents of all stripes first and foremost, but open to all! Still going strong and growing! Recruitment is open for all agents and non-force sensitive positions, as that is, and will remain the focus of the guilds, with the sith taking a backseat. With a revised Force user system in the works, will be opening for force sensitive characters of the acolyte and apprentice/sith ranks, and are still looking to recruit everything from agents to troops on the ground and support positions!